GreenGate Fresh provides fresh salad produce across America. They use a 6-step washing process and even with the current water conservation policies they still use 300.000 gallons of water per day at one of their locations. For the salads washing process they need water of around 40 degrees Fahrenheit and to get this they must cool down the water, which is an energy intensive process. Isaac Hung student at the University of Arizona wrote a thesis for his master of science study, seeking ways to cut the company's water, energy, and chlorine usage by introducing technologies, to allow part of the wash water to be recycled. 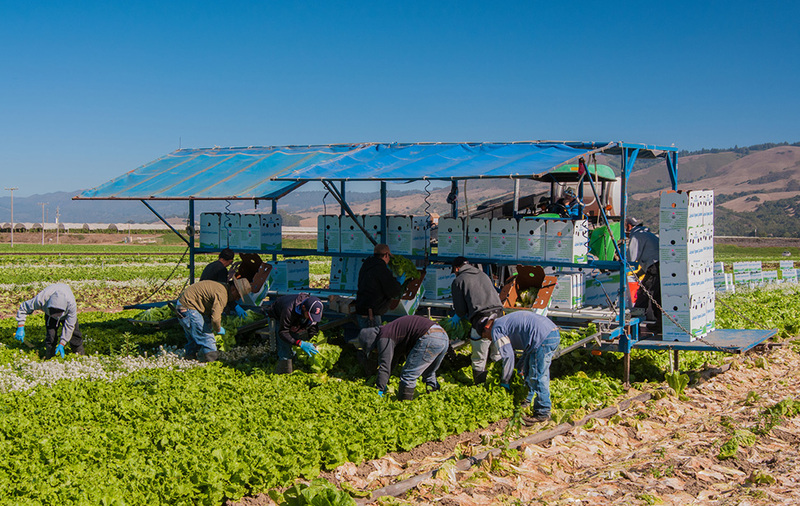 Currently, GreenGate Fresh is treating water used to process lettuce and other fresh produce with hypochlorite, to disinfect the harvested produce. The benefits of hypochlorite are it is an industry standard in the US, its low cost and its effective. Residuals that stays on the produce continue to inactivate and suppress regrowth of bacteria, which is another benefit compared to other technologies. Ozone is another USDA approved disinfection method for organic certified produce. Ozone is a highly reactive oxygen free-radical and has a greater oxidative potential than chlorine. As a result, ozone is used a lot in many disinfection applications. A disadvantage of ozone is, its short lived and doesn't create any residual to prevent regrowth of pathogens. In some studies, it has been observed that in certain cases water containing fine bubbles and ultrafine bubbles have been effective in removing biofilms and killing bacteria given a long enough treatment time. For GreenGate Fresh the treatment times can range from several hours to a day the fine-bubbles by themselves would not be sufficient for the water treatment needs. However, the fine-bubble properties of not rising to the water surface and slowly diffusing gas into the water allows for over-saturation of gas in water and make it desirable to combine fine-bubble technology with ozone gas treatment. Compare the disinfecting effects of injecting ultrafine bubbles in the nanometer range with the effects of injecting find bubbles into contaminated water. Determine the effects injecting ozone gas as ultrafine bubbles in the nanometer range into water has on dissolved ozone concentration over time compared with injecting ozone gas as fine bubbles. Determine if ozone gas injected into water as ultrafine bubbles is available in contaminated water for treating water. Its is generally accepted that the time required for a micro bubble to collapse is only several minutes, because of the collapsing bubble hydroxyl radicals are produced which aid in disinfection of pathogens. In the study two fine-bubble generators were used, one of them was the UFB mixer , as a control, air diffusing stones were used. The effect of micro-bubbles on ozone dissolution and dwell time. Compared to the micro-bubble and ultrafine bubble generators, bubbling ozone into water resulted in about the largest dissolved ozone concentration in the water. However, injecting ozone as micro-bubbles and ultrafine bubbles allowed the dissolved ozone concentration to rise to the maximum concentration in about a third of the time it took for bubbling ozone into water with the air diffusers to reach the largest concentration. Furthermore, when ozone was injected into water using micro and ultrafine bubbles, the concentration of dissolved ozone in the water decreases at a slower rate than when ozone was bubbled into water using air-stones. The experiments successfully demonstrated that ultrafine bubbles by themselves do not seem to have any disinfecting effect on the water. 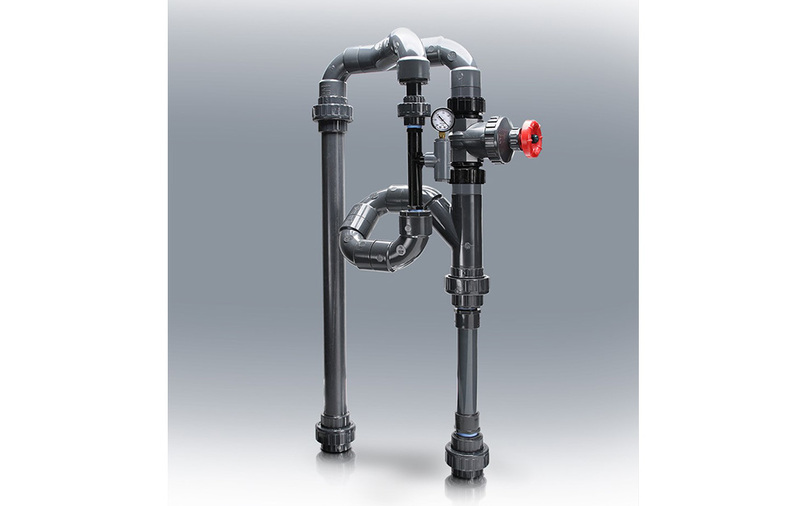 There are benefits pairing ultrafine bubble technology with ozone gas for water treatment. By injecting ozone, it is possible to make higher levels of dissolved ozone in the water at the same water temperature or the same levels of dissolved ozone at higher water temperatures than if ozone gas was injected into water using conventional methods. As ultrafine bubbles do not rise to the surface much less ozone is injected into the water. Finally, ultrafine bubbles are more stable, allowing gaseous ozone to slowly dissolve into water and due to the stability ozone remains longer present in the water.